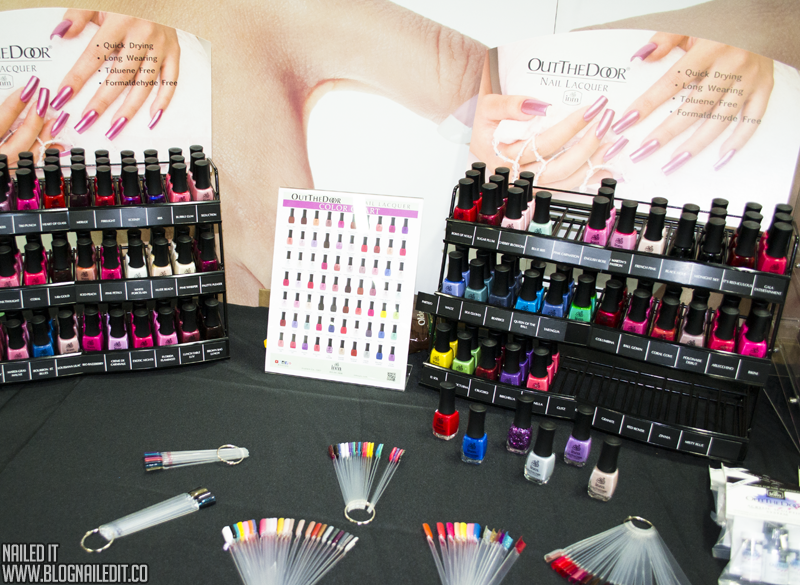 A new month, another new installment of Cosmoprof North America 2014 and what the industry attendants had to show off this past summer. The rest of those posts, if you're looking for them, can be found with the CPNA 2014 tag. Today - INM is featured, which stands for "International Nail Manufacturers", but is more commonly known for its abbreviation. Still not ringing a bell? They're the producers of everyone's favorite microglitter top coat, Northern Lights! Now you're definitely interested! At CPNA 2014, I happened upon the INM booth, and was met by a lot of products I didn't know about. Like many of you, it didn't jump out to me as an obvious nail product line, but I'm glad I stumbled by. The ladies of INM filled me in on some pretty exciting things about the company. Firstly, I was introduced to the INM polish line, which recently underwent a nice makeover from their previous bottle design, which was a tad more chubby looking. Shockingly, there were a lot of great colors, and I grabbed a few to take home and try (which you'll catch at the end of this post along with some sunny nail art you won't want to miss). At the show, they were launching their new fall line. According to the reps at the booth, INM lacquers have awesome coverage, and after trying it myself, I have to agree. The polishes are also 3-free and typically dry in 2-3 minutes, but if that's not fast enough for you, you may be interested in a new product, called Ready Dry. Ready Dry is a quick drying spray that's touted as drying all layers of polish in 30-45 seconds. That's base, your layers of polish and your top coat, in under a minute. If that's the case, this is the kind of stuff nail techs and their clients dream of - getting them on their way more quickly, without the inevitable fear of smudging a fresh mani as they start the car. Unfortunately, I haven't tested this. If you have, I'd love to hear your experience with it! 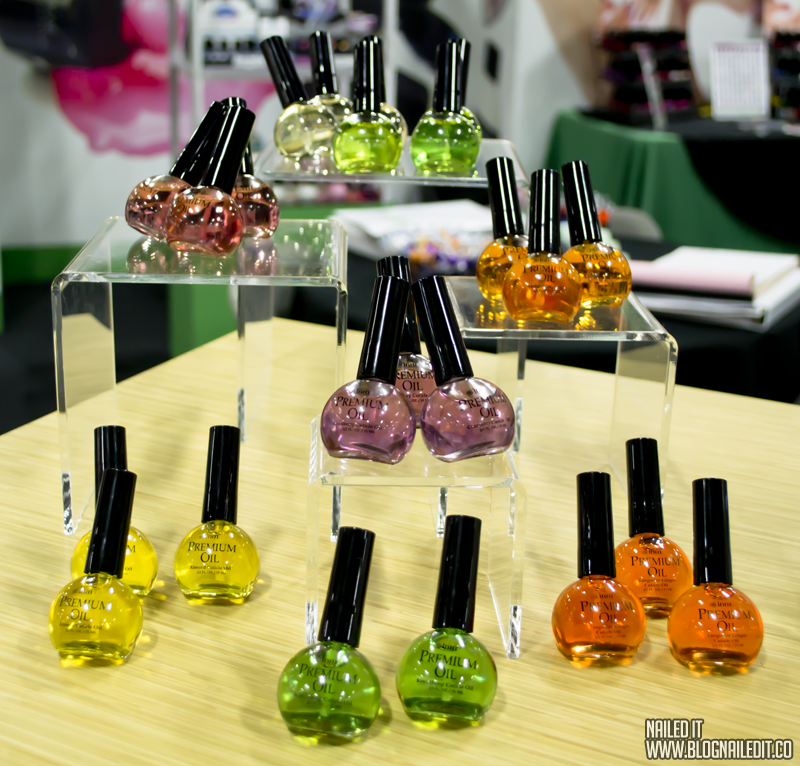 Next on the INM booth tour were the cuticle oils, which may be familiar to you. Just as Northern Lights jumps off shelves in Sally's Beauty Supply stores, so too does the INM almond Premium Oil cuticle oil. This year, they're producing 7 more scents for their popular cuticle oil, so if you're a diehard Premium Oil lover, that's great news! New scents include Peach Vanilla, Kiwi Hemp, Green Tea, and Mango. 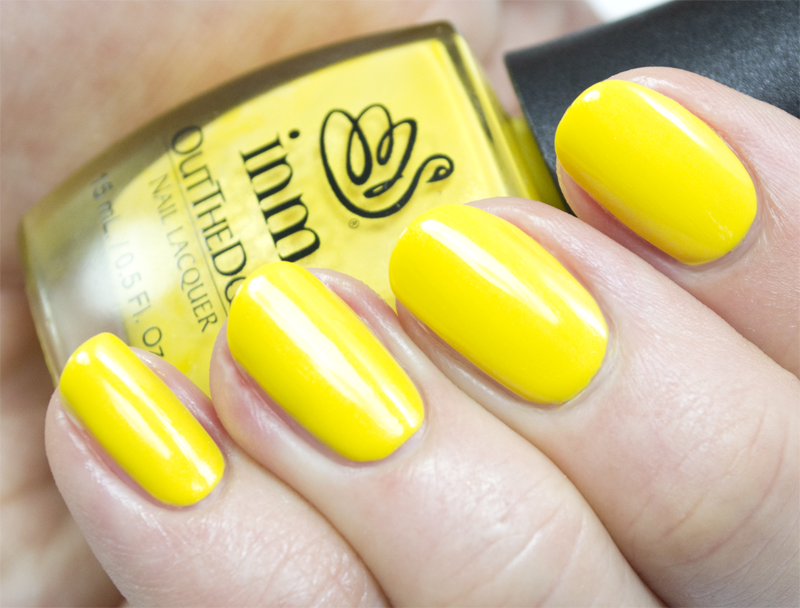 INM also creates gel polishes, acrylic systems, and natural nail strengthening systems. They've been doing this a while, so their reach goes farther than just polish. But for those of you just interested in the polish, here comes the good stuff. 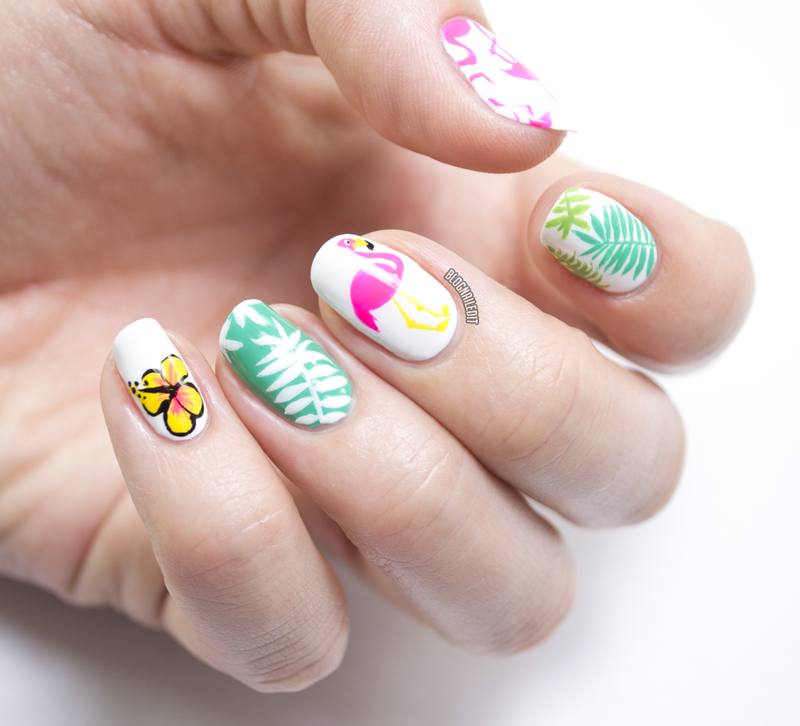 INM lacquers are great for nail art. The creme finishes apply exquisitely with brush strokes, and though the reps admit that some may cause staining, those are being examined and reformulated. 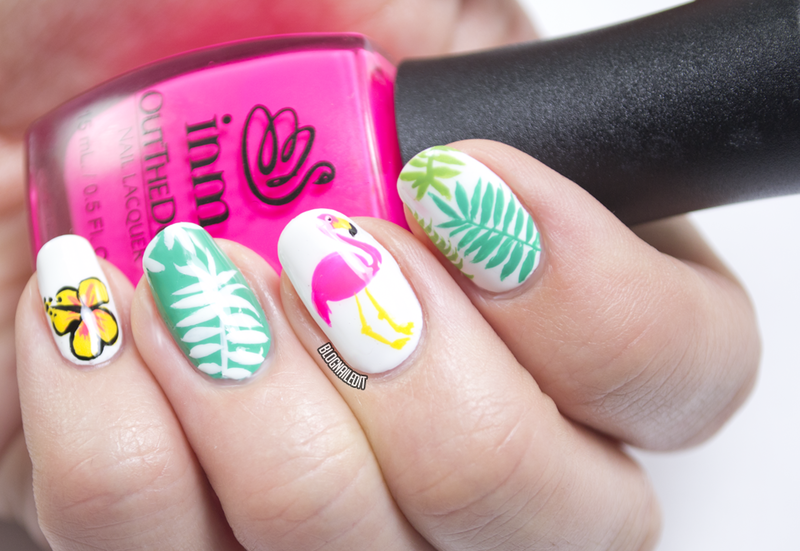 Even bright colors pop, as you can see with today's flamingo pop nail art! I used only INM lacquers for the design, and really fell in love with them by the end. See what I mean about great coverage? Here's a rainbow of swatches from several different collections, all of which can be found and purchased from INM's website. Formula varied by color, but overall they are fantastic. I especially liked the brush for application on my nails. Bikini (3 coats) rocks as a perfect neon pink creme. It almost looks fake on my nails, but I assure you it's just that bright. El Sol (3 coats) is a bright, taxi-cab yellow with a tiny bit of gold shimmer (that isn't really coming through in my swatch). Really makes it feel sunny! 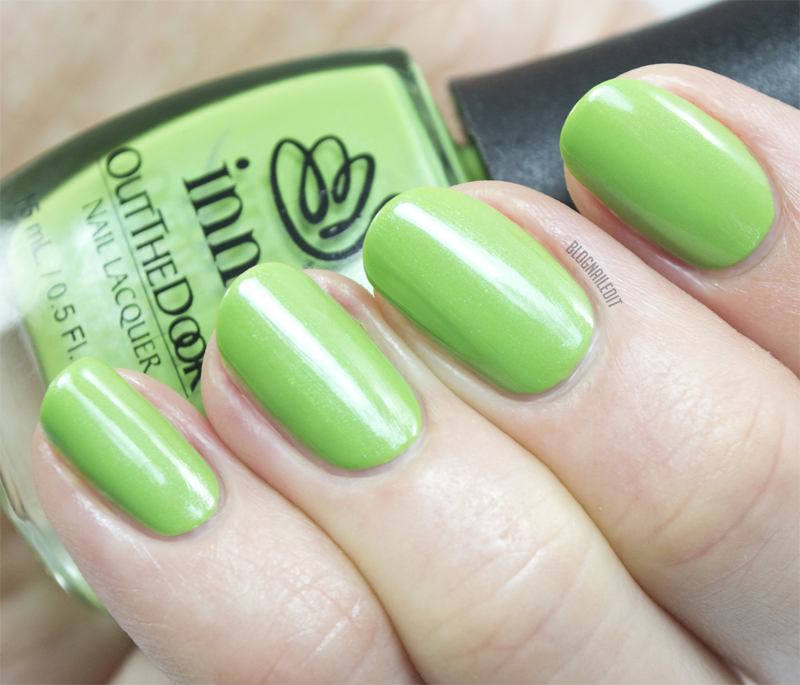 Vida Nocturna (2 coats) is another polish with specks of shimmer peaking through the beautiful grassy green base color. This is an awesome green for nail art! Tartaglia (2 coats) is the turquoise of your dreams. It reminds me a lot of China Glaze Four Leaf Clover (which is a favorite for mine as the base to this throwback Nailed It mani and tutorial). It's a very smooth and easy formula to boot. Blue Iris (3 coats) - is a faded Tiffany Blue, with a tricky watered-down formula. It's pretty regardless though. Very dainty. Beatrice (2 coats) is a bold and bright teal-tinged blue to add to your collection. Partido (2 coats) is really smooth and solid in formulation. It's a cornflower blueish purple. Damn it's pretty! White Porcelain (2 coats) is a simple, perfect paper white. Black Hole (1 coat) needs to be a black you own, especially if you're a stickler for good formula. 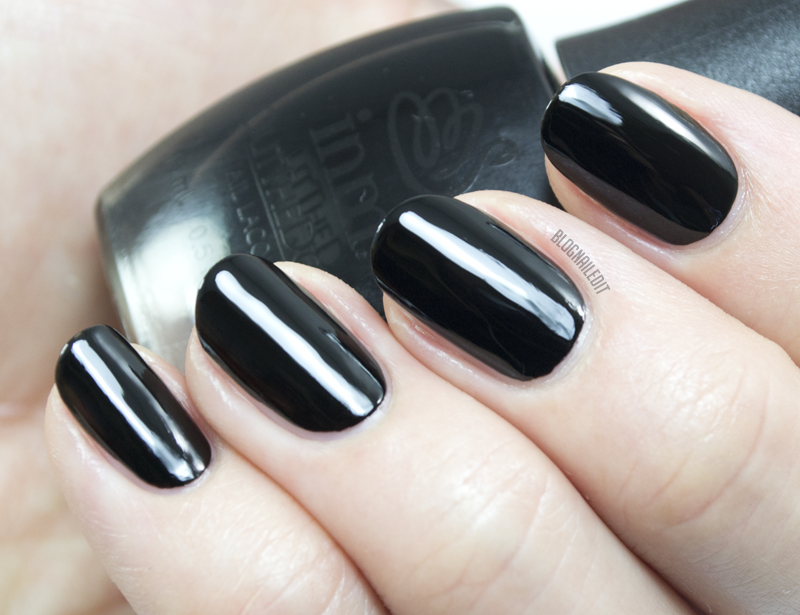 The picture you're looking at is one coat of Black Hole (with a top coat of course). Nuff' said.